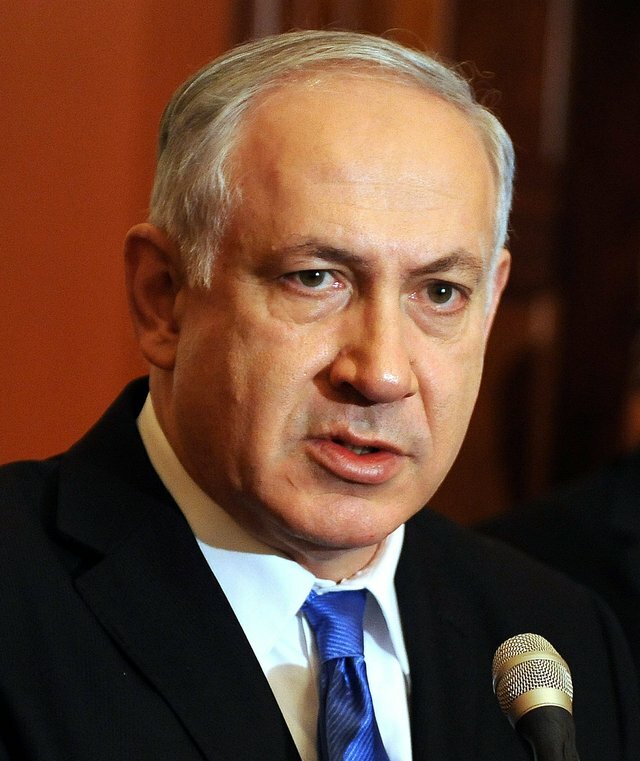 Is Israel more likely to strike Iran because of the election campaign in America? In other words, an American president during a re-election campaign cannot afford to publicly break with an ally who has strong support among key segments of the American electorate and powerful friends in Washington, and this reality could embolden that ally to take risky actions and assume unconditional U.S. support. Furthermore, this scenario only scratches the surface of the myriad links between electoral politics and foreign policy. For example, foreign adversaries may avoid confrontations with any president who is running for re-election and is under criticism by domestic opponents for being “soft” on foreign threats. Such a leader is under pressure to demonstrate his hardline credentials, and foreign adversaries would do well to avoid giving him an opportunity to do so. 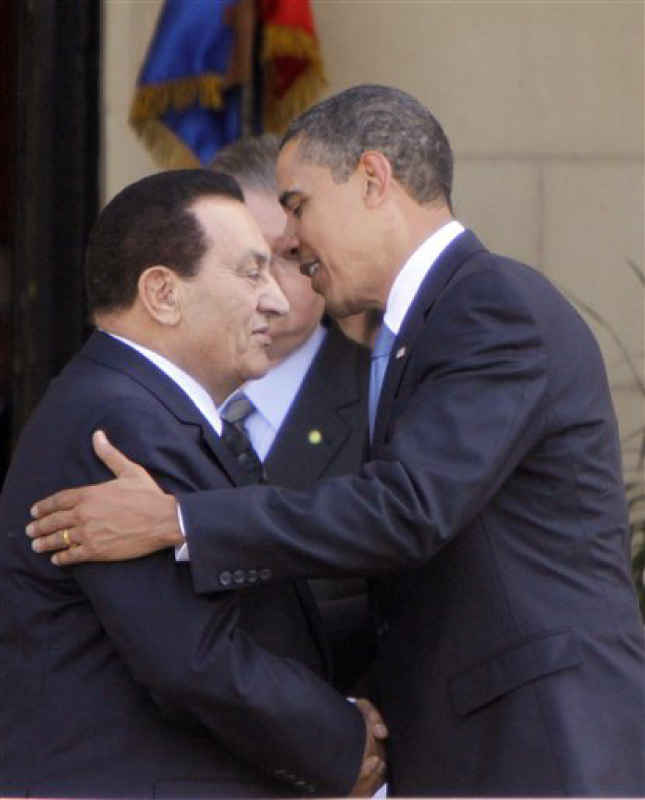 Do you think Israel or other countries will use Obama’s domestic constraints against him in this election year? What kinds of foreign policy decisions by the current administration (if any) are more or less likely given the criticism that Obama is facing from Republican contenders and other political opponents? Is there any way to insulate foreign policy from domestic political considerations, or is this an inevitable byproduct of democracy? 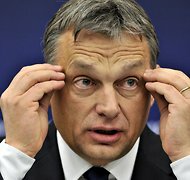 Hungary's Prime Minister Viktor Orban appears to be buckling to pressure from the European Commission to change Hungary's laws. But what are the implications for state sovereignty and democracy? State sovereignty is a bedrock principle of today’s international system. It means that governments exercise final authority within their own borders and that states are free from foreign interference in their internal affairs. Of course, sovereignty is sometimes more clear in theory than in practice. States are often incapable of exercising complete control of their territory (e.g., Pakistan) and they struggle in an age of globalization to secure their borders against unwanted goods, people, and ideas (e.g., China’s efforts to police the internet). An additional threat to state sovereignty in the last several decades has been the rise of supranational organizations that have increasingly sought to place limits on state sovereignty in order to deal effectively with global issues ranging from human rights (the ICC) to trade (the WTO) to the distribution of the ocean’s wealth (UNCLOS). It appears that Hungary’s leaders are backing off their earlier hard line and may give in to the EU’s demands. Clearly this is a defeat for state sovereignty, and some would argue that it is high time for unrestricted state sovereignty to disappear as a relic of a past age. But is this outcome ultimately dangerous for democracy? By forcefully imposing rules from above, do supranational bodies like the European Commission risk creating an undemocratic precedent whereby unelected entities are given the power to overrule the choices of elected governments? Talk of a preventive strike against Iran has reached a fever pitch in Washington. But is it a good idea? In the wake of last November’s UN report indicating Iran is working toward a nuclear weapon and rising tensions between Western countries and Iran, the debate over striking Iran has reached a fever pitch in Washington. In the pages of Foreign Affairs, the preeminent U.S. foreign policy journal, scholars and policymakers have recently advocated a range of options including (1) a limited military strike on Iran’s nuclear capabilities, (2) a broader military campaign aimed at regime change in Tehran, (3) waiting on war until all other options have been tried, and (4) reliance on containment and deterrence. At root, much of the debate hinges on different strategic judgments about the relative costs of (a) allowing Iran to develop a nuclear bomb versus (b) using force to prevent such an outcome. In other words, the debate revolves around whether the benefits of anticipatory military action outweigh its costs. Political scientists have distinguished between two types of anticipatory action which are often confused: preemption and preventive war. Preemption refers to action taken in anticipation of an imminent, certain threat to your country’s interests. A good example is the 1967 Six Day War, in which Israel saw Egypt and Syria preparing to attack and struck first, achieving a dramatic victory. Preemption is commonly viewed as equivalent to self-defense and is typically seen as legitimate under international law and Just War Theory: if you are about to be attacked, you are under no obligation to sit there and “take the first punch,” when striking first can reduce your losses. In contrast to preemption, preventive war occurs when action is taken in anticipation not of any certain imminent threat, but of some likely future threat. Historically, declining hegemonic states have contemplated preventive war against rising challengers so that the war would happen on their terms, while they still had military superiority. Because preventive war targets some future, uncertain threat it is much more controversial, ethically and legally, than preemptive strikes. The post-9/11 “Bush Doctrine,” as articulated in the 2002 National Security Strategy of the United States and manifested in the 2003 Iraq War, actually focused on preventive war although it was commonly referred to as “preemption.” Given the absence of any imminent nuclear threat from Iran (as all sides acknowledge), the current debate over striking Iran centers on preventive war as well. What do you think? What would be the consequences of allowing Iran to acquire nuclear weapons? What would be the repercussions of a preventive strike against Iran? Do the costs of preventive war outweigh the benefits in this case? And can a first strike against a country that has not attacked the U.S. directly be justified in moral and legal terms? 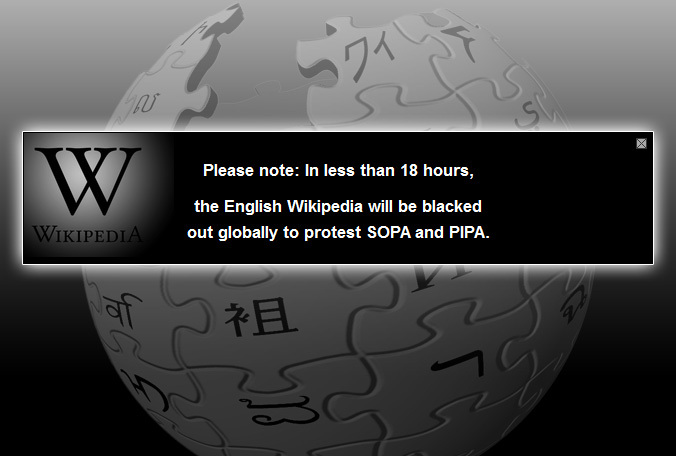 Visitors to Wikipedia on January 18, 2012 found the site temporary blacked out to protest PIPA and SOPA. “Imagine a World Without Free Knowledge. For over a decade, we have spent millions of hours building the largest encyclopedia in human history. Right now, the U.S. Congress is considering legislation that could fatally damage the free and open Internet. For 24 hours, to raise awareness, we are blacking out Wikipedia.” There is a link to “learn more” and a prompt to contact your member of Congress about the legislation. Google, Reddit, Amazon, and other prominent internet-based companies have also blocked certain features on their sites or placed black “censorship banners” over content in order to protest the legislation. At issue are two bills working their way through the U.S. Congress: the Stop Online Piracy Act (SOPA) and the Protect Intellectual Property Act (PIPA). As the names imply, they are primarily designed to stop foreign web sites from illegally distributing copyrighted material, such as movies, TV shows, and songs. Opponents of these steps (whose arguments are summarized here) contend that the legislation gives the U.S. government sweeping powers to censor the internet using tools heretofore employed only by oppressive autocratic regimes. This controversy reveals the complex tradeoffs between intellectual property rights, freedom of expression, and government power in today’s increasingly globalized world. Many political scientists have drawn attention to the growing challenges that states face in controlling transnational flows of ideas, goods, diseases, people, and information in a world characterized by greater interdependence and instantaneous communications. When websites located overseas–beyond the reach of domestic law enforcement instruments–can threaten Americans’ intellectual property rights and by some estimates cost American workers hundreds of thousands of jobs, the U.S. government finds itself in a relatively weak position and must resort to unprecedented steps such as PIPA and SOPA to reassert some authority over the “Wild West” of the 21st-century internet. What do you think? Are PIPA and SOPA reasonable steps to attack piracy, or do they unduly threaten the internet freedom of law abiding citizens? Is there any way for states in the 21st century to control content on the internet without becoming the “Big Brother” that civil libertarians have longed feared? Does Campaign Rhetoric Matter for Foreign Policy? 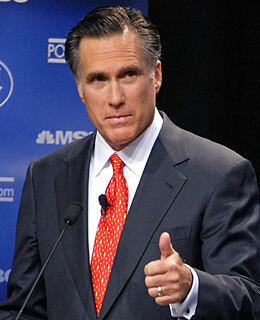 Leading GOP presidential candidate Mitt Romney has pledged that as president he would not tolerate a nuclear Iran. As the presidential primary season heats up in the United States, with Republican hopefuls criticizing Obama’s foreign policy and staking out their own positions on issues ranging from China to Iran to climate change, it is worth considering how the campaign pledges of would-be presidents might affect their foreign policy actions once in office. In short, does campaign rhetoric constrain leaders’ subsequent behavior in any meaningful way, or is it quickly forgotten once a new president is inaugurated? There is evidence that foreign policy statements made during a campaign are often discarded once candidates take on the responsibilities of power and realize that the issues are more complex than they had previously acknowledged. Governor Bill Clinton in 1992 promised that there would be no more “business as usual” with China if he became president, but once in the White House he quickly discovered that America had strong economic interests in continuing business as usual and he proceeded to strengthen ties with China while downplaying its human rights record. And Barack Obama, after heavily criticizing President Bush’s national security policies while a candidate, embraced many of these same policies as president, dismaying his supporters by refusing to end the rendition program, failing to close the Guantanamo Bay detention facility, increasing drone strikes in the Middle East, and choosing to “surge” troops in Afghanistan rather than beginning an immediate withdrawal. However, campaign rhetoric–particularly if it takes the form of rigid pledges such as a refusal to raise taxes under any circumstances or a promise to never allow Iran to obtain nuclear weapons–can impose audience costs among domestic constituencies and make it very hard to back down from these pledges. What do you think? Can the Republican candidates’ statements really constrain President Obama’s actions during the campaign period? Could these challengers’ campaign pledges seriously constrain their own actions if they won the presidency? What does all of this say about the interplay between domestic politics and foreign policy? Will Domestic Politics Paralyze World Politics in 2012? 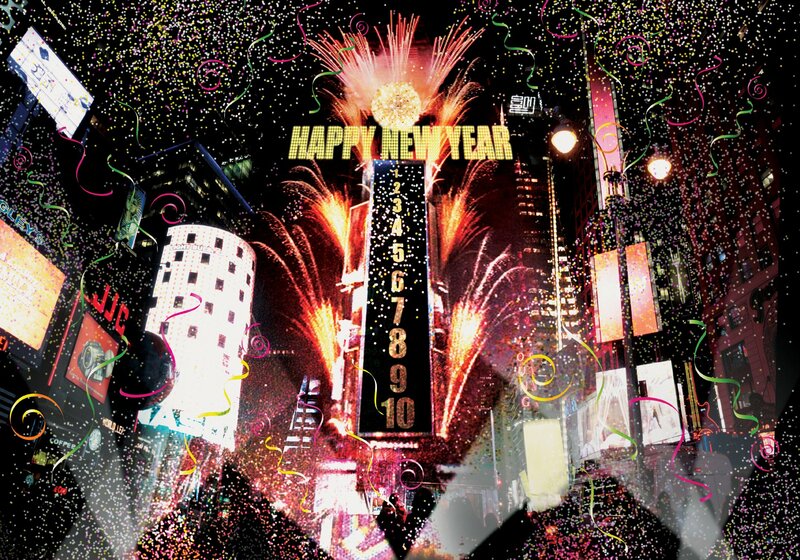 As revelers in New York's Times Square celebrated the arrival of 2012, pundits and scholars gazed into their crystal balls to make forecasts about the new year. This dilemma is exacerbated by the fact that leaders in many major powers will be preoccupied with elections and leadership transitions at home in 2012. These domestic developments will both (a) decrease the time and energy available for diplomacy and (b) increase the pressure for leaders to “pander” to domestic groups’ parochial concerns rather than engaging in far-sighted efforts to save the global economy. These forecasts highlight an argument that political scientists have been making for decades: though they are sometimes treated as distinct spheres, domestic and international politics are intertwined in innumerable ways. And the “causal arrow” runs in both directions: domestic political factors, including regime type, interest groups, and public opinion, shape states’ foreign policy behavior, while international economic and political factors affect political outcomes at home. What do you think? Will domestic politics trump international considerations as leaders make decisions in 2012? How might that affect outcomes in world politics, in areas ranging from security to economics to the environment? Do you find Gideon Rachman’s arguments persuasive, or does he exaggerate the power of domestic politics?